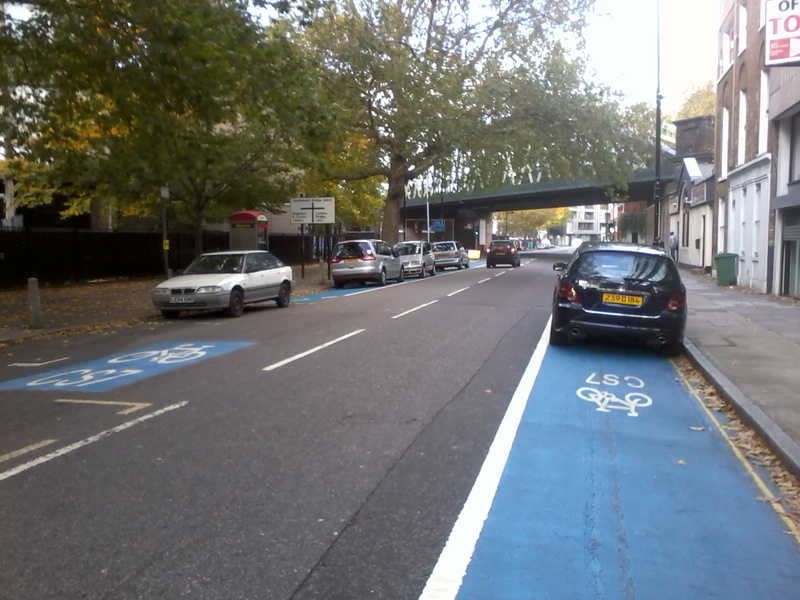 Not strictly the City, I'm afraid, but along Cycle SuperHighway 7 leading out from the City is Waterloo Cars. A scene which typically looks like this. 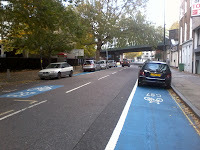 Kennington People on Bikes has written two articles on Waterloo Cars who routinely park all over the SuperHighway. And there's a link for how to complain about it here. I cycle along here a few times each week. If it's bugging you as well, perhaps add your voice to the TfL complaints page after reading Charlie's article. That photo shows a car with diplomatic plates.